Facing the front of the switch, the Reset pin hole will be to the very right. Using a paperclip, press and hold the Reset button for 10 seconds. 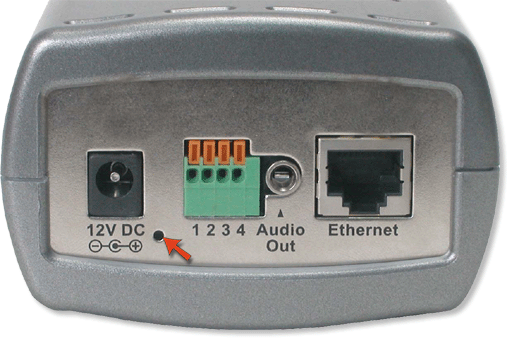 The D-Link DES-3226L should now be at factory defaults. I was replaced with a new router and this was unable to send signals more than 10 meters. Signal range was dropped and unable to get in side room. We are sorry to hear that you are having connectivity issues with the DIR-600L. Based on the information you described in your review, D-Link suggests the following: If your router is not performing properly (freezing, automatically rebooting, disconnecting, etc), this could be happening for a number of reasons. 2.Ensure the firmware is up to date. Firmware is the “Brains” of the router, it is the programming that tells it how to work. D-Link will release new firmware versions when bugs are reported and fixed. Upgrading the firmware may correct issues you are experiencing. 3. Perform a factory reset on the router. On the back of the router locate a pinhole marked “RESET”. Press this button with the end of a paperclip for about 8-10 seconds and release it – The light should go off and then come back on. After the router finishes rebooting, you will need to re-configure your settings (for both the Wireless and Internet). 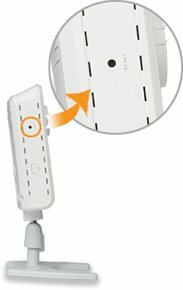 If the issue still persists, please contact our technical support team at: www.dlink.com/support. Thank you for being a D-Link customer. 1.Step 1: Locate the hole on the side of the camera labeled reset. Step 2: Insert a paper clip into the hole and hold it down (about 5-7 seconds) and release. The LED on the back of the camera will blink green then Link up. Note: Do not re-power the unit during this process. 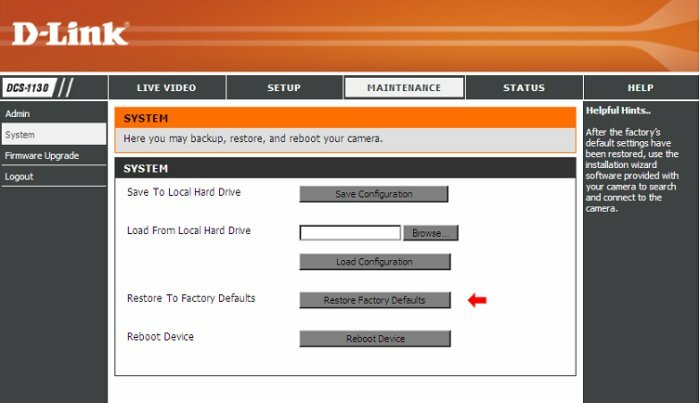 The D-Link camera is now reset to factory defaults and will reboot. 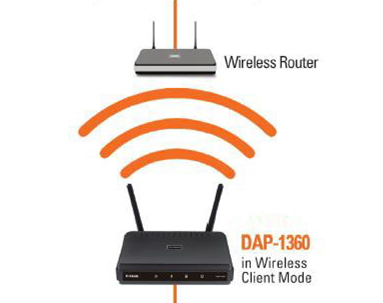 2.The D-Link DCS-1100 and DCS-1130 can also be reset from the web interface. The D-Link DWL-G730AP is a very good travel wireless AP router, sometimes we forget the password, need to reset to factory settings, this article will tell you two ways. Step 1: With the unit on, place a paper clip into the hole on the back on the unit labeled Reset. Step 1: Open a web browser and type the IP address of the DWL-G730AP in the address bar (default is 192.168.0.30). Press Enter. Step 3: Click the Tools tab and then click System to the left. Step 4: Below Restore to Factory Default Settings click Restore. Step 5: In the Restore to factory settings warning dialog box, click OK. Step 6: The unit will reboot on its own. Once the WLAN light stops blinking, the unit is reset. 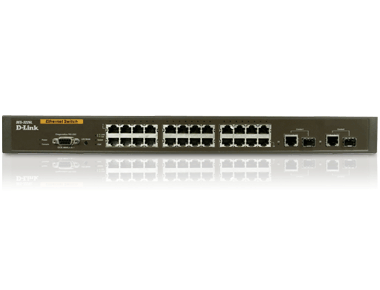 Note: Resetting the D-Link DWL-G730AP does not reset the firmware to an earlier version. It will change all settings back to factory defaults.